Sterling, Virginia-based pixel artist, t-shirt designer and 2D animator Drew Wise created the political Pizza Party t-shirt design that has a crust filled with win! Shirts are available to purchase from the DREWWISE RedBubble Store. 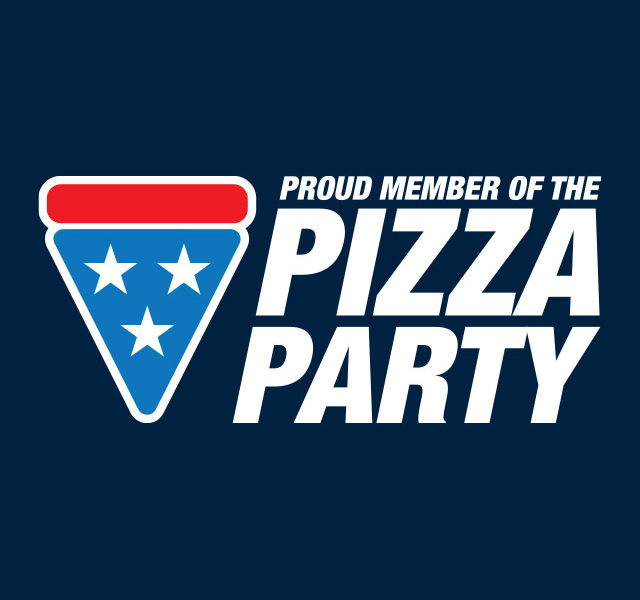 You can really show your support with a Pizza Party sticker! We previously wrote about Drew in our post Pixel Portrait Poster Kickstarter Project Backers Receive An 8-Bit Portrait.